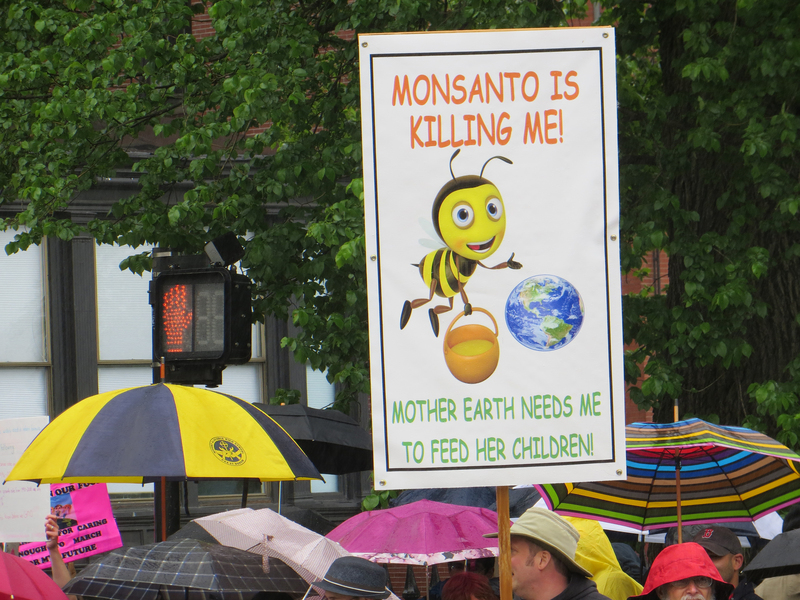 Hell NO Monsanto! 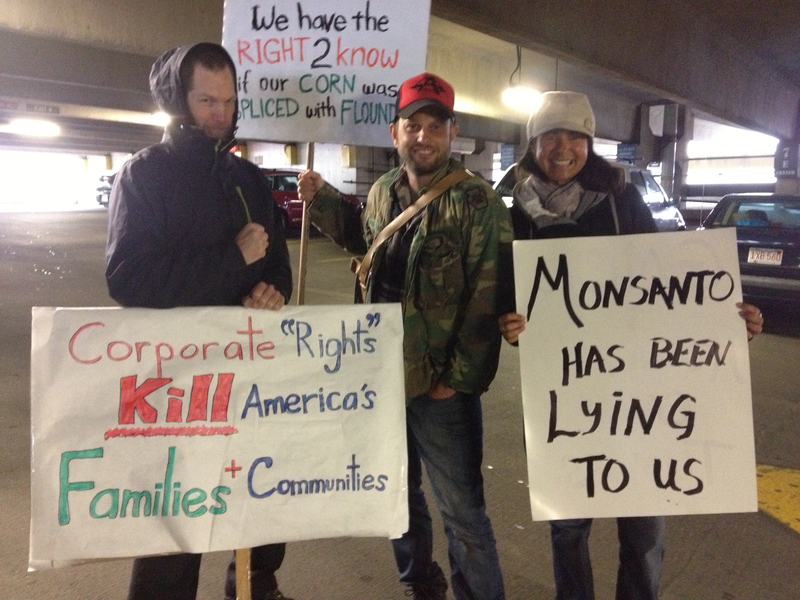 GMO’s have got to go! 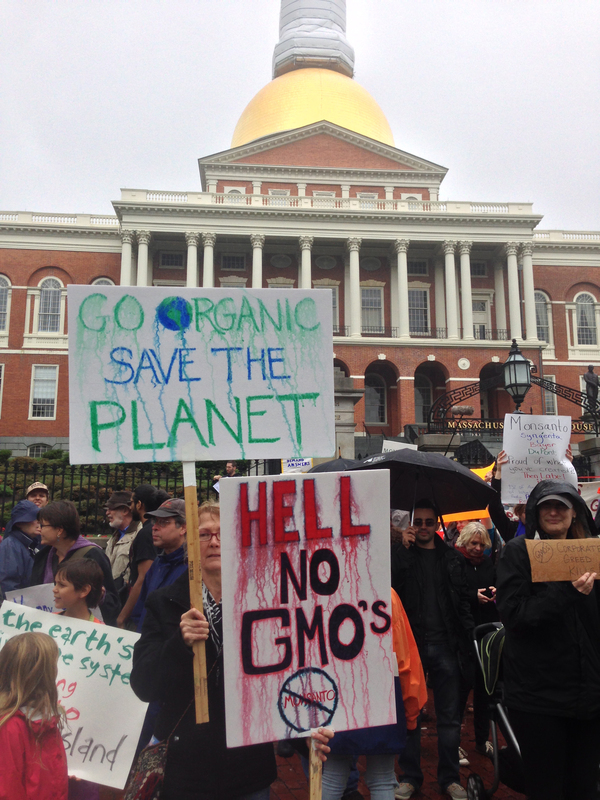 I was part of a group of people from Cape Cod who traveled to Boston on Saturday to join a large crowd of protestors who marched from Government Center to the State House waving banners and chanting anti-Monsanto and pro-natural food slogans. 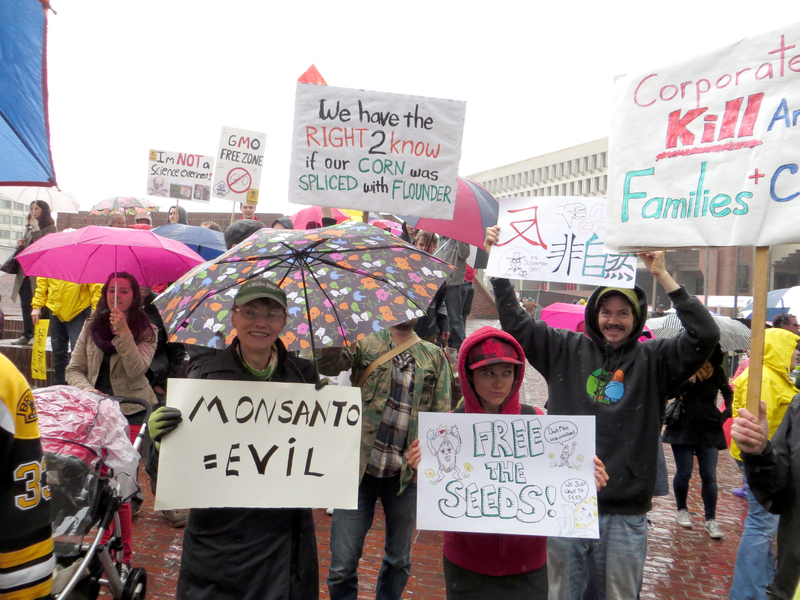 We were joined by protesters in dozens of cities throughout the country as part of a global protest against Monsanto and the genetically modified food it produces (GMOs). GMO’s have been proven to have detrimental affects on the body, causing infertility and other problems in humans, and the RoundUp herbicide that is liberally sprayed on these plants has also been found to be also highly toxic. We are ALL eating this food! Organized marches and protests were held in 436 cities in 52 countries, and it is estimated that two million people took part world-wide. 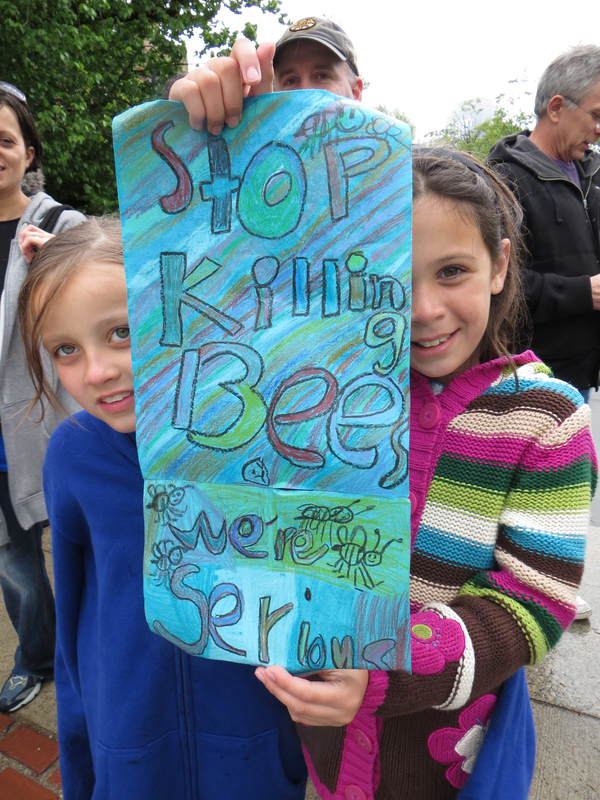 Children ask Monsanto to stop killing bees! What the bees would say! This entry was posted in Facts About Nutrition, Health Advocacy, Life Force Energy In Food, News, The Need To Know, The Truth About Food, Vibrational Levels of Food and tagged Andre Bovis, Andre Simoneton, Bovis Meter, Bovis units of life force energy, calibrating food, dangerous food, Dr. David Hawkins, food calibrations. science and nutrition, nutritional equivalents of food, Power vs. Force, scale of nutritional value, true nutritional content of food on May 27, 2013 by Gillian Drake. Introducing Eating Above the Line® Nutrition/Weight Loss Classes, coming soon! This entry was posted in Facts About Nutrition, Life Force Energy In Food, News, Vibrational Levels of Food and tagged Andre Simoneton, Bovis Meter, Bovis units of life force energy, calibrating food, Cutting Edge Nutritional Information, dangerous food, Dr. David Hawkins, food calibrations. science and nutrition, Healthy Food, How Diet Affects Health, Life Force Energy, Life Force Energy in Food, nutritional equivalents of food. Andre Bovis, Power vs. Force, scale of nutritional value, true nutritional content of food, Understanding Healthy Eating, Vibrational Content of Food, Vibrational Levels of Food, Weight Loss Through Healthy Eating on April 15, 2013 by Gillian Drake. 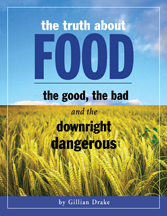 "This is a book that can change the eating habits of millions." "Out of the vasty deep and into the butter and garlic . 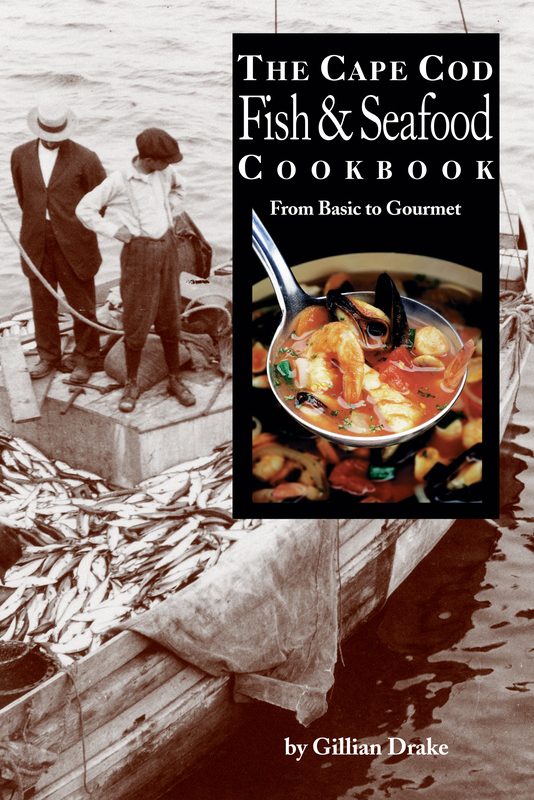 . . here's an eclectic catch of the day from the salty chefs and shores of Cape Cod. I'd buy it for the halibut!" AND, the American Dietetic Association, and Freedom of Speech The American Dietetic Association (now known as the AND) is working towards making even FREE dietary advice illegal without an AND license. All content, text and design copyright Gillian H. Drake, unless otherwise indicated. Links, images and excerpts may be used, provided that full and clear credit is given to Gillian H. Drake, with appropriate and specific direction to the original content. Please request permission before reposting or publishing full articles.